They don’t call it Watches & Wonders for no reason. The third and final watch fair of the year, held in Honk Kong, has produced some of the finest and most exclusice timepieces. And the Piaget Protocole XXL model (G0A40604) is one of them. Limited to only three pieces worlwide, it features a special micro-mosaic and shines a bright light on the creative department at Piaget. The transparent sapphire crystal reveals the Mythical Journey logo applied just under the case-back. Known as a pioneer in ultra-thin mechanics, Piaget continues pushing the boundaries. The new Protocole XXL Micro-Mosaic continues the tradition of the maison, as it is powered by the ultra-thin hand-wound mechanical movement, the in-house Manufacture Piaget 830P. 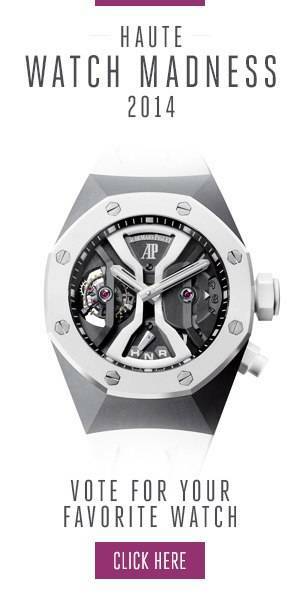 The watch comes with approximately 60-hours of power reserve. One can’t seem to get their eyes off this masterpiece of precision, where an impressive five thousand miniscule glass tesserae (small individual tiles) combine to recreate the blue skies of the city of Samarkand. Limited to only three pieces worldwide, the Protocole XXL Micro-Mosaic by Piaget sits comfortably on the wrist thanks to a black alligator leather strap with white gold folding clasp, ideal for an elegant and cultured look. Photo Credit: Haute Time. For more information, please visit the official Piaget website. Follow Haute Time on Instagram to catch all of the new releases as they happen.